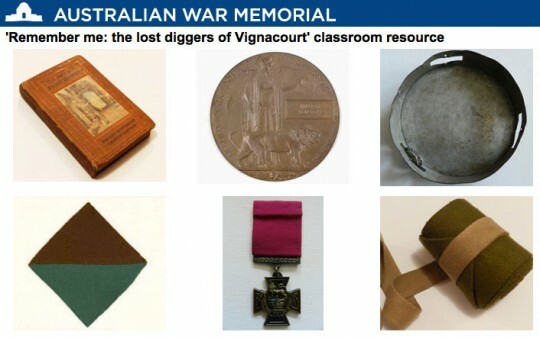 Year Nine History… browse on over to the Australian War Memorial’s web site and in particular visit this specific web site: ‘Remember me: the lost diggers of Vignacourt’ classroom resource. Once you have selected the artefact or source read the information and then answer the questions for that particular source. Use the links that follow some of the activities to obtain further information. Record your answers and incorporate suitable images using Pages or Microsoft Word… try using a template. Add graphics and photographs to support your answer. Save you work to a thumb drive, or, email it to yourself. Please send your completed activity to Mr Larkin via his school email address.